In an effort to contain an ever burgeoning repair cost for vehicles under its management, SPANCO – fleet manager for government vehicles – is implementing the SPANCO defensive driving programme for government drivers, specifically those driving concession vehicles. 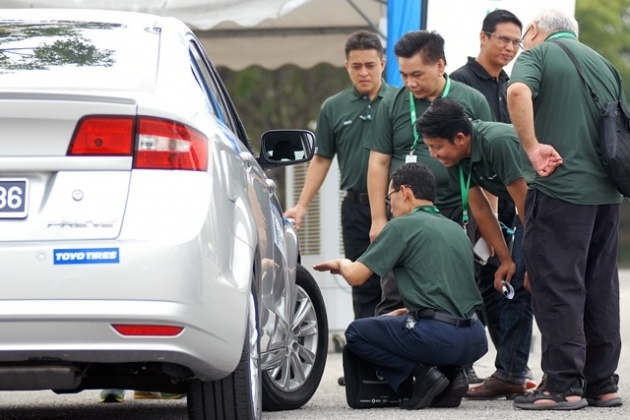 SPANCO currently manages over 12,000 government saloon cars – costing RM700 million – across Malaysia, and is facing a challenge in capping costs arising from accidents and repairs. 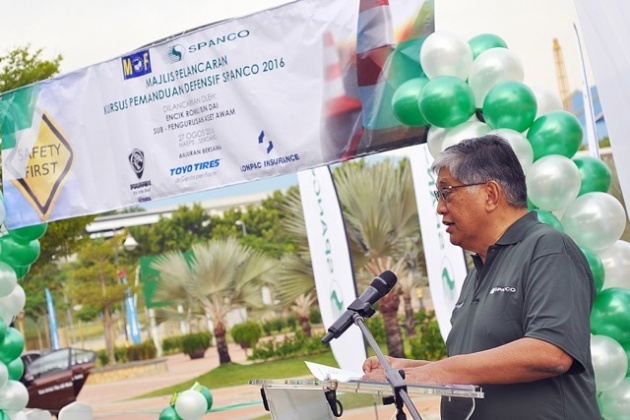 According to SPANCO chief executive officer Datuk Hamzah Mohd Salleh, 2,707 accidents were recorded in 2015, resulting in RM8.1 million repair costs. The initial defensive driving programme involved a total of 55 public servants from various ministries and government agencies. The programme is targetted at those driving official cars and department vehicles on a daily basis. “What is more concerning is as of August of this year, 2,666 accidents were recorded, with a cost of RM8 million, which is almost the same as the entire cost for 2015,” said Hamzah. It was also stated that SPANCO concession vehicles collected more than 72,000 police summonses for speeding. Hamzah said the high number of accidents not only caused SPANCO to incur huge losses, but also resulted in disruptions to fleet operations when vehicles were laid up for repair, or written off. “It is hoped that with the SPANCO defensive driving programme, government drivers will become safe and responsible drivers. “Spanco manages 12k gomen cars”….omg. Manage ….never exist at all. The rm700 million is budgeted for the dudes to wallop.There will be VARIATION ORDERS.tHUS IT COULD BALLOON close to Rm 0.9 Billion. Mini MEGA PROJECTS are created .Spanco is one of them. Lately,MACC going after the ‘1500 percent’ inflated orders and maintenance of crematorium dead body burners. 1 burner costs rm20k to maintain a year.The dudes inflated it to rm 300K. Even at the place of death,CORRUPTION is there. Even if gomen depts do not outsource,and maintain their own departmental cars…u think they can come clean? Corruption is VERY VERY RAMPANT.It is a lifestyle for many. Why just can’t appoint proton to handle G car. Lease from Proton, maintain by Proton, replace by Proton. They have the capability. They make the car after all. Instead of giving soft loan to Proton, eliminate Spanco and give the contract to Proton. How dare you do this and cut out the middleman crony? Like this how to cari makan wei? How to keep the vote bank? How to ask for donation and political contribution? Of course the cars are falling like flies. You know what they say about a “rental car”. Why our G didnt fully utilize their Ministry. I believe that every ministry have their own engineering department. Why need to out source for maintaining G car fleet. Eg: MOD vehicle fleet can be repair by their own Royal Engineering Corps (KJLJ) or every ministry can bring their fleet vehicle directly to manufacturer/authorized dealer for servicing or repair job. No need to outsource 3rd party company like SPANCO. Pretty waste of taxpayers money. Gov lease the fleet from SPANCO. That’s why it comes with the maintenance package. Total waste of tax payers’ money. What goes around comes around. 2,707 out of 12,000 vehicles were involved in accidents in 2015?!?! That’s around 23% of the total, meaning 1 in 5 made an accident claim. That’s totally ridiculous. Those government bigshots should just take the bus if they and their drivers can’t drive properly. Not to say take bus. If they crash it, ask them to pay with their own pocket money. Simple as that. Then only they will know how to drive properly. Gearbox failure and stuffs are still acceptable wear and tear but accident cases are the driver’s fault. How long is this course for? Defensive driving is life long, a single course targeted at 55 people is not going to change anything. Anyway, the proof of the pudding would be the accident cost next year. Let’s see if this works. Hahaha. This is funny. The reality of fact is, these G use these cars and hantam even without following the speed limit. These modern cars actually comes with a GPS (by looking at all the Preves that the G use), and limit their speeds or possibly, fine them if found driving recklessly. Rather than spend so much money on repairing, make the contract to the G more stringent than before. It looks like the people from the G is actually creating our accident rates in Malaysia higher, not the public. SPANCO, if rugi then surrender your contract back to the G la. Feasible right? Next Post: DRIVEN: 2016 Honda Civic 1.5L VTEC Turbo in Sabah – is the latest tenth-generation FC the best Civic ever?